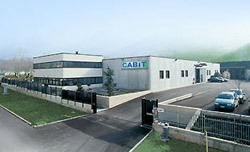 Cabit Srl, with its twenty years of experience in the Lighting Components, is ready to assure to you confidently product made of Experience, Quality and Design. Counted from the Economic and Financial Research Center ESG89 among the Best Italian Companies, the quality of its products is guaranteed and enhanced in compliance with European regulations (EN) and International (IEC). A conformity which is evidenced by both the CE mark (where applicable), a compulsory part of the legislative, and from the Guarantee of Quality Label awarded by the most prestigious Institutes of International Certifications, among which we mention for example: ENEC, IMQ, SEMKO, VDE , BSI, LCIE, UL. Its modern equipment, also, allow flexibility to ensure wide production and a rapid response to the most different requirements of its customers. Innovative ideas dictate our production line and put the company in perfect harmony with the projections of the market. Our staff is, also, our best heritage with its high degree of experience in the branch of the wiring field due to the continuous professional updating and training. But your Trust still remain our Add Value.